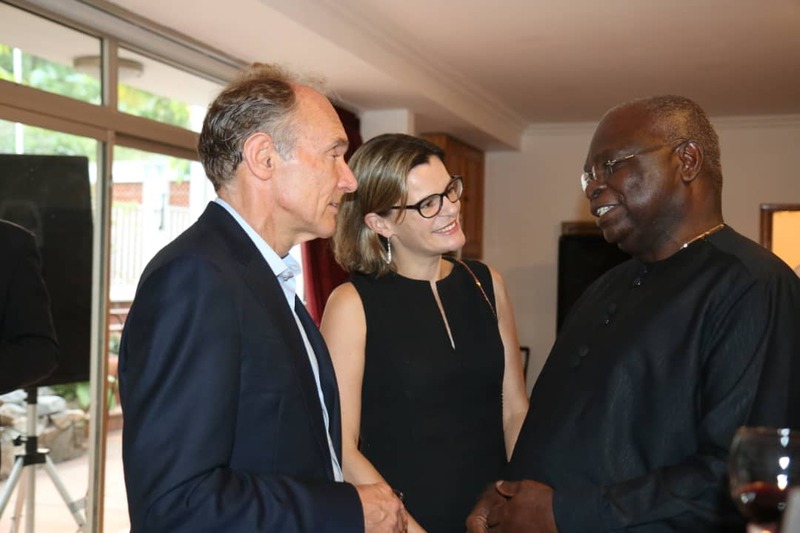 Sir Tim Berner-Lee, Creator of World Wide Web(www); Laura Beaufils, British Deputy High Commissioner to Nigeria and Dr Segun Aina, President, Chairman,Fintech Associates Ltd, during Africa Fintech Network discussion at the reception hosted by British High Commission to celebrate the 30th Anniversary of the World Wide Web in Lagos 13th March 2019. We are pleased to announce that The Fintech Institute, the knowledge arm of Fintech Associates Ltd have entered into a working relationship (a Memorandum of Agreement) with The Fintech Circle including The Fintech Circle Institute of the UK to provide capacity building and Fintech Masterclasses for banks and Financial services organizations in Nigeria and subsequently other African countries. We are excited at the prospect of having Susanne Chishti give Fintech and other related masterclasses as part of the upcoming Africa Fintech Festival between 3rd and 7th December 2018 in Lagos, Nigeria. I will like to start this special address by congratulating the Indian Institute of Banking and Finance on this occasion of its 90 years anniversary. Let me acknowledge the fact that the Institute is the 4th oldest professional banking Institute in the world – the oldest being the Chartered Banker Institute Scotland founded in 1875, followed by the London Institute of Banking and Finance established in 1879 and the third oldest, Institute of Bankers in South Africa which came into existence in 1903. 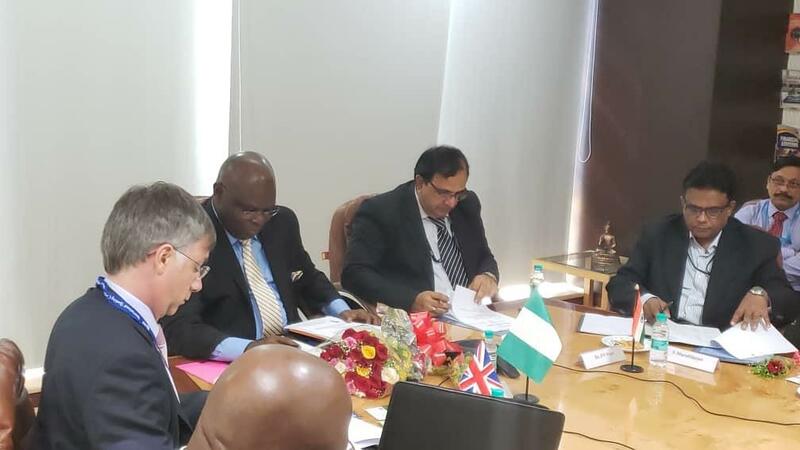 Dr Segun Aina Chairman, Fintech Associates Limited, Nigeria and Chairman, Global Council, Global Banking Education Standards Board GBEStB at the meeting of the Global Council members GBEStB which held on Monday 24th September 2018 at 17.00 hrs (IST) in Mumbai, India. 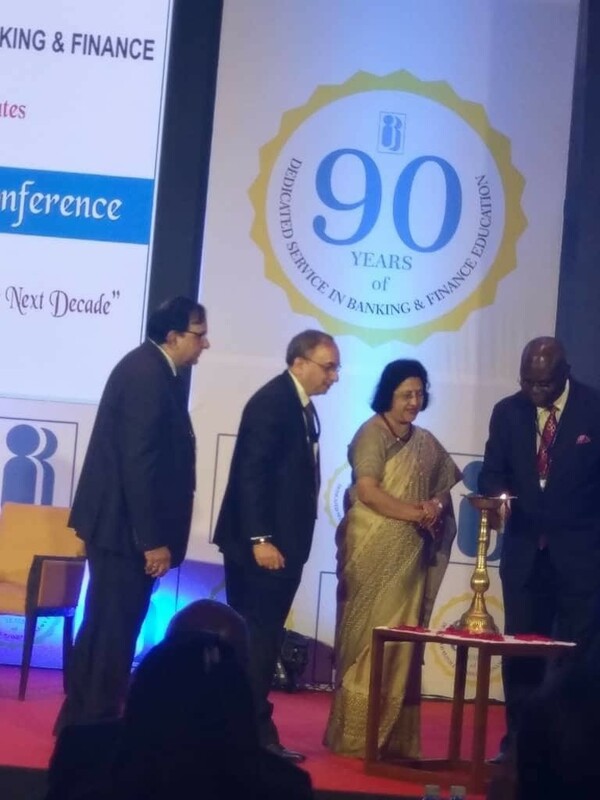 Dr Segun Aina will like to thank the India Institute of Banking and Finance IIBF for hosting this historic meeting which came up a day before the International Conference organised to commemorate the 90th Anniversary of the IIBF on 25th September. 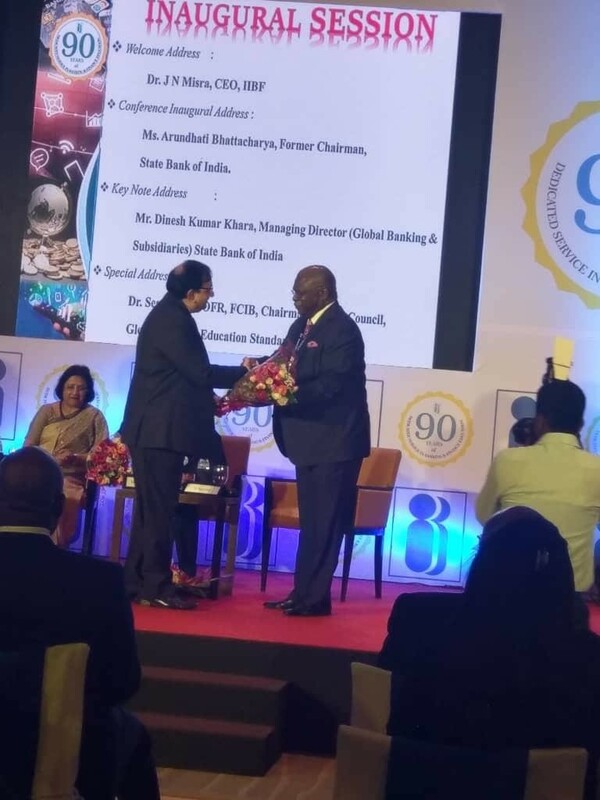 Dr Segun Aina Chairman, Fintech Associates Ltd, Nigeria and Chairman, Global Council, Global Banking Education Standards Board at the Inaugural session of the International Conference commemorating 90 years of existence of the Indian Institute of Banking and Finance today the 25th September 2018 at the Conference Centre , Hotel Trident, Mumbai, India.